Attics can collect heat, increasing your cooling costs in the summer, and moisture, which can result in mold, but these issues are remedied by installing an attic exhaust fan. Installed in your roof, an attic fan draws heat from your home and attic and pushes it outside, while pulling cooler air into the space. Think of the exhaust fan in your bathroom: it works in much the same way. However, attic fans aren't all created equal. there are a variety of choices depending on your home's needs. Look for fans made of metal, which are the most durable, and that incorporate a screen to keep insects and other pests out. 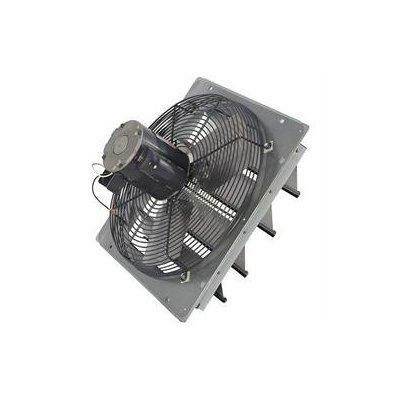 Fans may be installed on your roof top or at a gable-end. For many homes, a traditional fan suffices to cool the attic. You've seen these space-aged, dome-shaped fans that are driven by a belt. A drawback is that they leave an opening in the roof, which allows cold air to infiltrate in the winter. They can also be loud and require frequent maintenance as the belt can wear out. Electric fans can move large volumes of air. Many include thermostats that help save energy. They are more difficult to install than traditional attic fans because they require wiring. Save on operating costs by using a solar powered attic fan. However, efficiency can diminish if there is not enough light to power it. If you live in a windy area and are seeking an environmentally friendly attic exhaust fan, consider the wind-powered fan. Wind blows the turbine vent, which in turn generates an air current that cools your attic. You may have also heard of whole house fans and wonder what the difference is between those and attic exhaust fans. They both have fans, but they serve very different purposes. While attic fans are located in the roof, whole house fans are located in the ceiling, typically a central hall. They draw hot air from inside the house and into the attic. Attic fans, on the other hand, don't move hot air in your home, only the air that is in the attic. Therefore, it's a good idea to have both fans, but avoid operating the whole house fan during the hottest time of day to avoid overheating your attic.